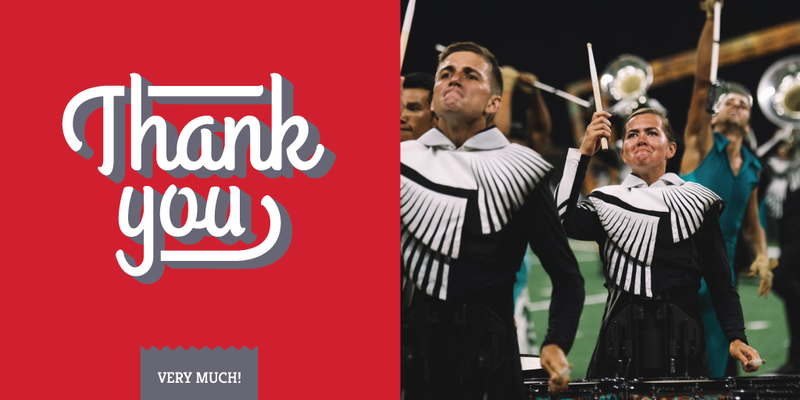 In 2018, Phantom Regiment provided life-changing performing arts experiences for over 500 young people from around the world. We couldn’t do it without one key element… YOU. We’ve set a goal to raise $45,000 by the end of 2018. Money raised during our Year-End Campaign helps us to expand our programs to reach even more young people next year. Read the Year-End Letter from Executive Director Rick V., and an update here!